Inspired by the success of the 2018 collection, CKX is back with a revisited range of colours for a most flamboyant backcountry style. With the same attention to detail and performance, CKX stands out once again through its boldness and uniqueness. Among their new items for this year, CKX is pleased to offer its female customers clothing specifically suited for their body shape. Enthusiastic snowmobilers will be really thrilled with the one-piece Nieva outfit. Designed to keep the body warm and dry, the one piece has all the necessary features and presents a highly refined cut. Whether for long outings or backcountry rides, snowmobilers will also appreciate the versatility of the Montana coat. With a removable lining, the Montana is a 3 in 1 garment that lets you regulate the temperature based on your needs. So without compromising performance, the women’s collection redefines the snowmobiler’s active and bold style! Available this coming fall, the “Zero” line of clothing will satisfy the most active snowmobilers or those who simply go out in milder weather. With its windproof and waterproof Voltex membrane, the “ZERO” line of clothing is free of any insulation. You can now take on a sportier drive while staying dry – that is the promise of the “Zero” line of one piece and jackets for men and women. In 2019, CKX will introduce a new line of underwear with tops and bottoms designed in a knit of ultra-performing synthetic fibres that help moisture wicking. CKX underwear is seamless, hugging the shape of the body with unparallelled comfort. This new line of underwear is consistent with the ideal performance sought by CKX; no doubt all enthusiasts will approve! With multiple, easy access pockets, a compartment for a hydration pack and a pouch for a pair of 210 glasses, the Summit Pack will undeniably become the ideal partner when going out on an adventure. With its logos and reflective strips, its whistle and a space for a shovel, it provides you with all you need to leave with total peace of mind. 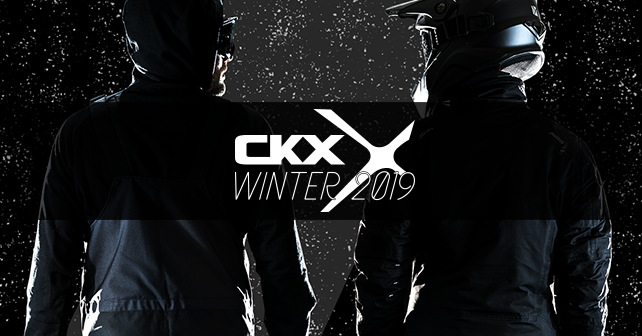 On February 27th, at a VIP party, CKX unveiled its new collection of clothing and accessories for snowmobile enthusiasts. It was with the CKX team and its ambassadors that media, retailers and enthusiasts were able to attend this unifying event. To discover even more news, subscribe to the Facebook page of CKX.